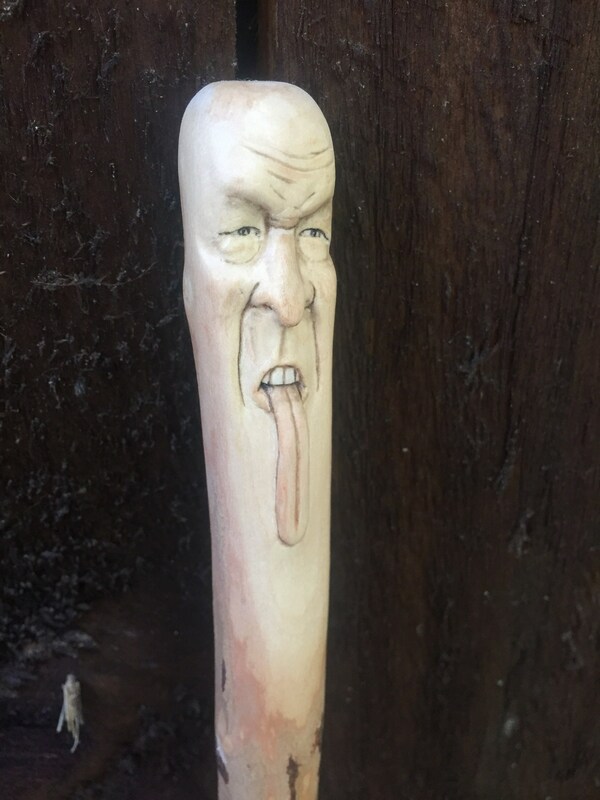 This is a walking stick with a face carved in it. 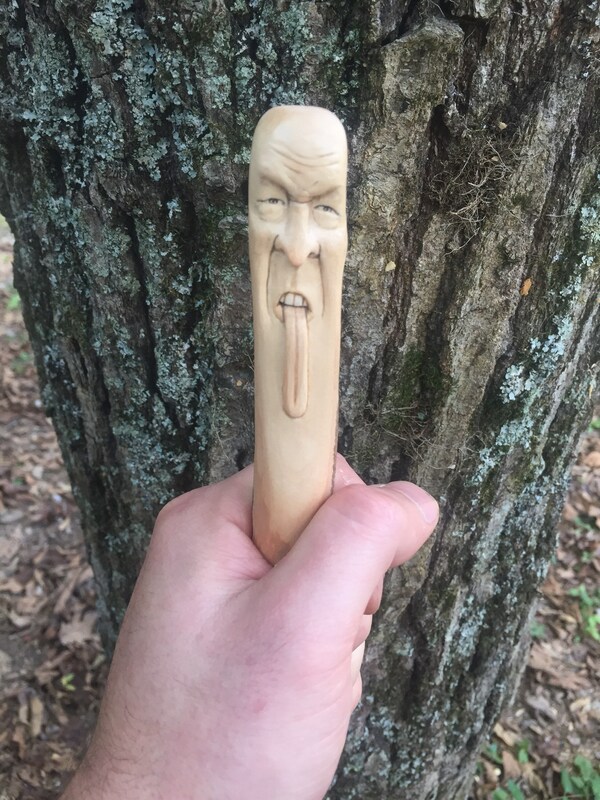 This stick is made of Dogwood, so it is very hard and strong. 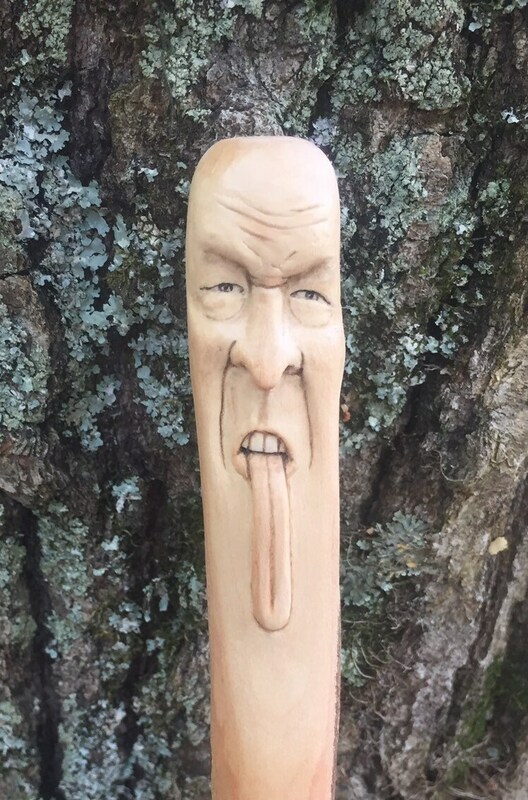 The faces that I carve are called, “Wood Spirit Carvings.” I include a certificate of authenticity with all of my Wood Spirit Carvings. “Nah, Nah, Nah, Nah, Boo, Boo”... 55” long, around 1” thick.. This stick is skinnier than most that I make. Although thin, it is still very strong and useable. Walking sticks aren’t made to support the entire weight of a person, or to be used as a chin-up bar. 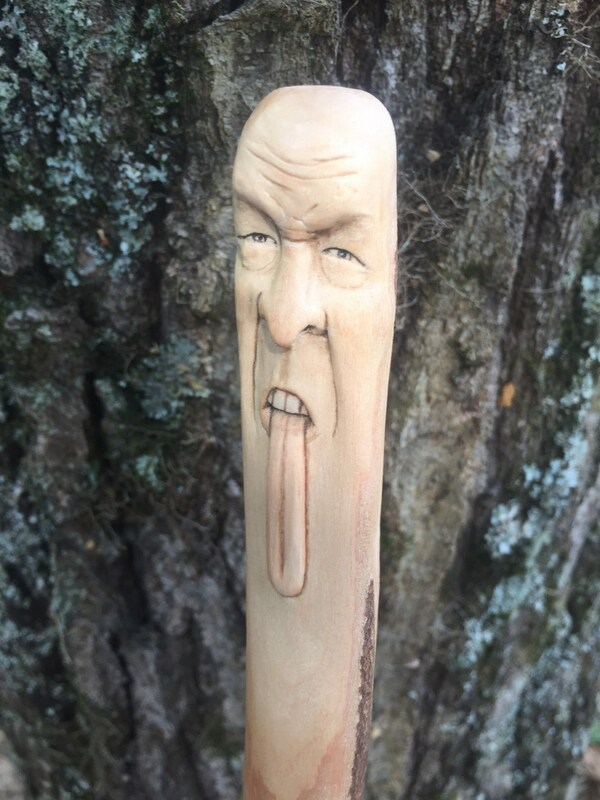 I carved this stick using rotary hand tools, grinders, small knives, polyurethane and thinned, oil paint. 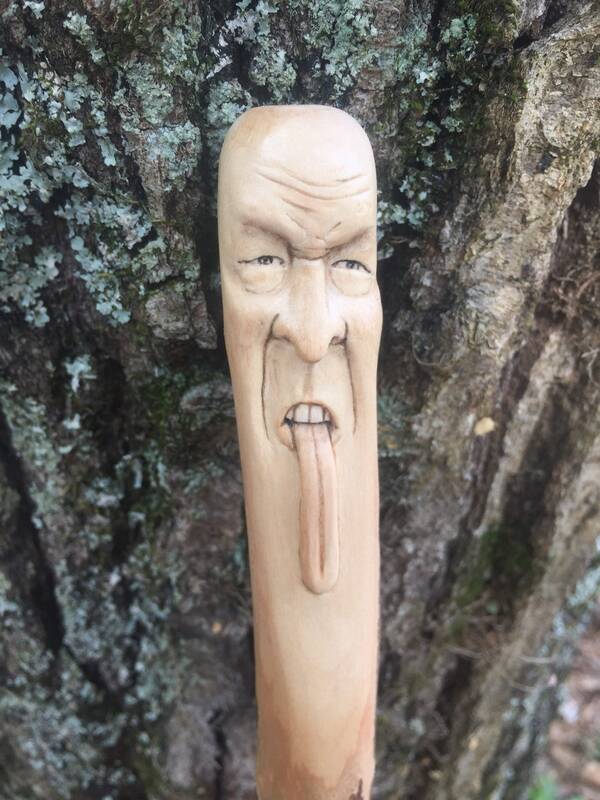 I carve everyday for a living. It’s what I love to do, and I take great pride in every carving that I make.